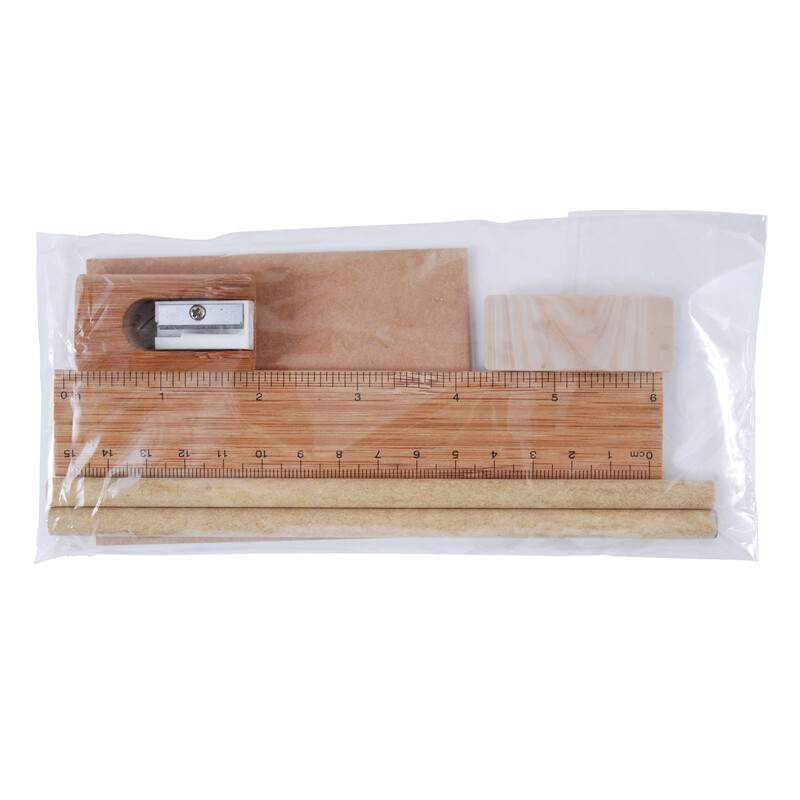 A bamboo stationery set packed in cello bag to hold and organise your most basic school items. Crafted for a fresh, natural, eco-friendly wood look, this bamboo stationery set is packed in cello bag and includes 20 sheet notepad, bamboo pencil sharpener, wooden timber pencils, eraser and bamboo ruler. 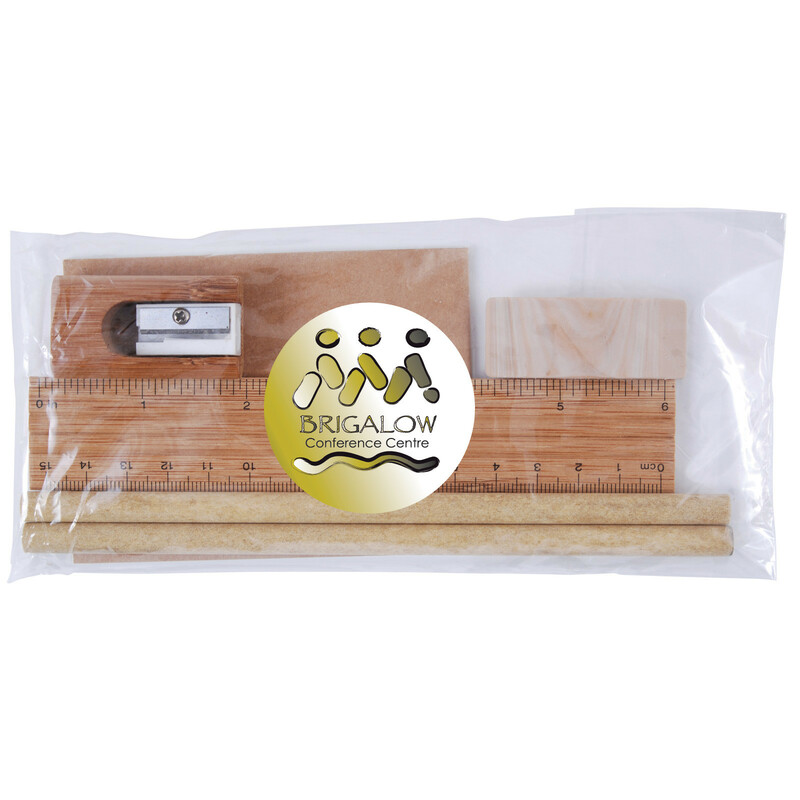 The eco-friendly bamboo material is plantation grown, no chemicals or fertiliser used in growing.